Who doesn’t love aromatherapy? Only those who’ve never used it of course! BUT, if you’re anything like me, you can appreciate and enjoy the pleasant aroma of a scented candle, a floral spray or perhaps a sensual scented oil massage. 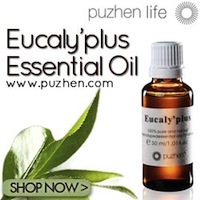 Did you know that essential oils could actually be beneficial to your health and well being? I didn’t until I stumbled across a book on these wondeful oils some time ago. I was so fascinated and intrigued by what I read that I just had to learn more. What I discovered is that true aromatherapy isn’t just the “smell good” stuff you can buy at your local grocery or drug store. It’s actually considered to be a form of holistic alternative medicine. So what is aromatherapy? Well, it’s a technique that uses the body’s sense of smell to help boost your mood, relieve stress, energize you and encourage better health. It’s also used to treat certain emotional and physical conditions. 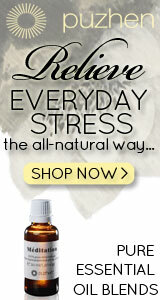 Did you know that pure essential oils are the main ingredient in true aromatherapy? Synthetic or chemically produced scents don’t carry the health benefits of essential oils. For example, Peppermint and Eucalyptus essential oils are mentally stimulating. They can help you to maintain a clear focus. Try mixing this combination in water and then pouring it over the hot rocks in a sauna. You’ll love the tingly sensation throughout your body. I certainly did!! If your sinuses are a little stuffed, no worries, a couple of drops of this combination in a facial steamer or inhaled from a pot of hot water can help you out with that as well. Need help with weight loss? There are some studies that suggest the scent of Vanilla essential oils can help reduce the craving for sweets. Burn a vanilla candle and tell that piece of cake to take a hike! Are you feeling tired or lethargic? Try Lemon and Rosemary essential oils to revitalize your body. This site is my way of sharing with you what I’ve come to learn about the wonderful world of aromatherapy. I’ve done the research so you don’t have to! On this site you will discover a plethora of information, resources, recipes and much, much more. In the coming months there will also be a forum on this site where you can share your experiences and recipes with others. Please sign up for my newsletter “Aromatic Essentials” to receive updates on "what's new" to this site! Just enter your email address and first name in the form below. I promise to use it only to send you Aromatic Essentials. I hope you enjoy this site as much as I’ve enjoyed bringing it to you. Short on time? Looking for something specific? Just type in what you're looking for in the search box below to search this site for it! Learning how to create calming, soothing or vibrant seasonal atmospheres within your own home is a great way of improving your outlook, what ever the time of year!